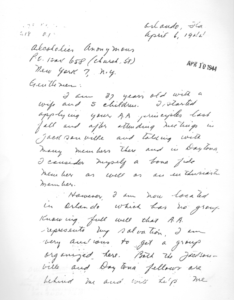 In the previous article, we talked about Dave A’s letter to the AA New York Office. 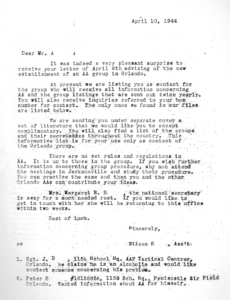 Following is a copy of this letter, in which Dave asks about “policies…to be observe[d]” and “instructions…to conduct ourselves,” and the response. Our Twelve Traditions were not formulated or published until 1946. We see in the answer where the practice of AUTONOMY (Tradition 4) and ANONYMITY (Traditions 11 and 12) were already being practiced.